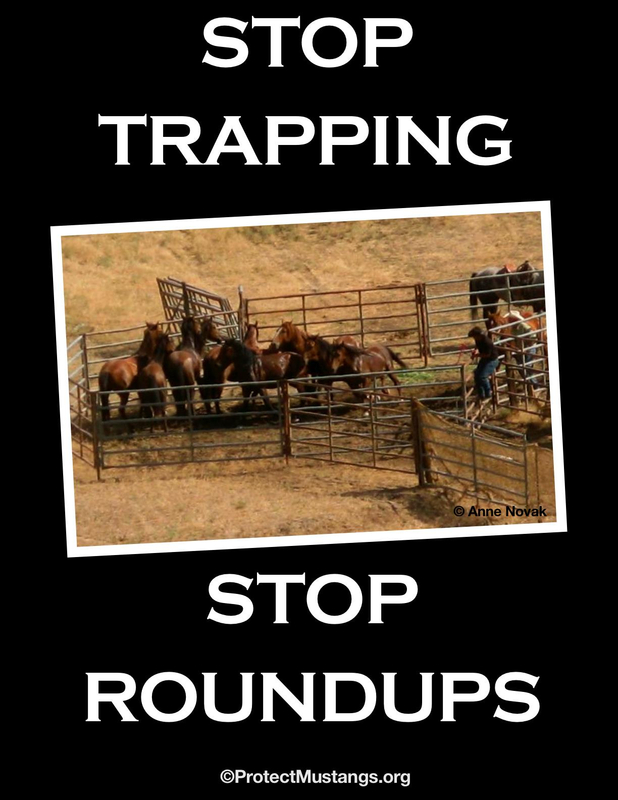 Bring emergency shelter and shade to captive wild horses and burros! The freezing winter weather has come and gone. Captive icons of American freedom, wild horses & burros, were denied shelter from the freezing winds, snow, icy rain, with only the muck (manure & urine) to lie down in-despite public outrage..
Now the mustangs and burros will face another summer of blistering high desert sun in triple-digit heat waves—no shelter! Our living treasures will continue to suffer. . . The feds are at the epicenter of this scandalous roundup and removal attack against America’s wild horses & burros. This cruelty in captivity must stop now! The Bureau of Land Management (BLM) Rock Springs Field Office is launching a 30-day public scoping period prior to preparing an environmental assessment (EA) for a proposed summer 2014 wild horse gather in the Great Divide Basin Herd Management Area (HMA). 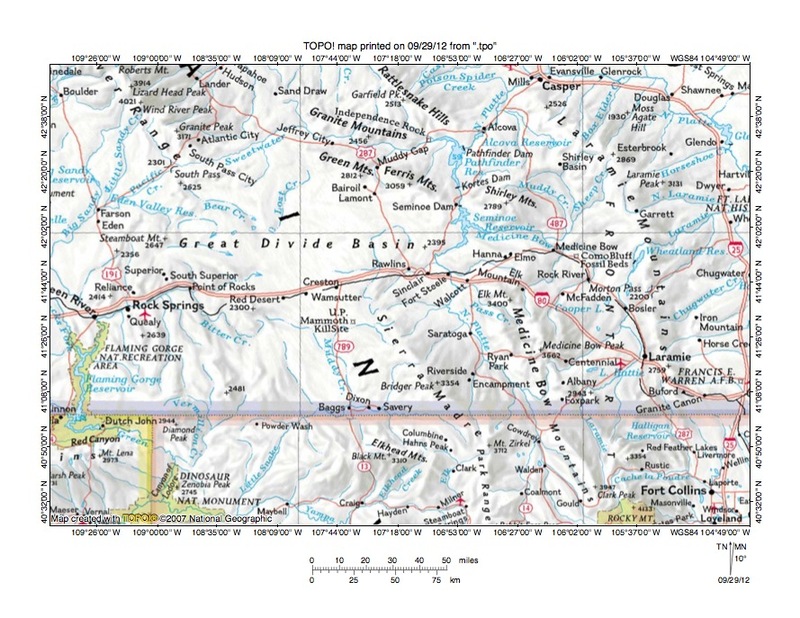 The Great Divide Basin HMA is partly located in the checkerboard pattern of mixed public and private land ownership in Sweetwater County and extends from Interstate 80 north to the southeast point of the Wind River Mountains in Fremont County. The HMA has an appropriate management level (AML) of 415-600 wild horses as identified in the 1997 Green River Resource Management Plan. Population surveys conducted in May found approximately 439 wild horses. Wild horse populations will increase about 15 percent yearly based on previous fertility control; the current population is estimated at 504 and predicted to be 579 in summer 2014. 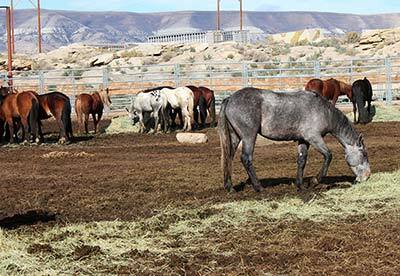 The BLM proposes to remove approximately 164 wild horses from the HMA. All wild horses on private lands in the checkerboard would be removed in conformance with the 2013 court ordered Consent Decree; some wild horses may be relocated north of the checkerboard. Excess wild horses in the remainder of the HMA would be removed to meet the low AML of 415. The proposed operation would possibly include fertility control. Public participation is a key component of the EA process. The public is encouraged to identify specific issues, concerns, ideas or mitigation to help ensure the best possible analysis. Written substantive comments may be emailed only to DivideBasin_HMA_WY@blm.gov with “Divide Basin Scoping Comments” in the subject line; or mailed or delivered to the BLM Rock Springs Field Office, Attn: Jay D’Ewart, 280 Highway 191 N., Rock Springs WY 82901. Comments will be accepted until Jan. 10, 2014. Persons who use a telecommunications device for the deaf (TDD) may call the Federal Information Relay Service (FIRS) at 1-800-877-8339 to contact the individual below during normal business hours. The FIRS is available 24 hours a day, 7 days a week, to leave a message or question with the below individual. You will receive a reply during normal business hours. For more information, please visit www.blm.gov/wy/st/en/info/NEPA/documents/rsfo/divide_basin.html or contact Wild Horse Specialist Jay D’Ewart at 307-352-0331. The Bureau of Land Management (BLM) will host public scoping meetings from 4-7 p.m. Sept. 11 at the Rock Springs Field Office, 280 Highway 191 N., Rock Springs, Wyo. 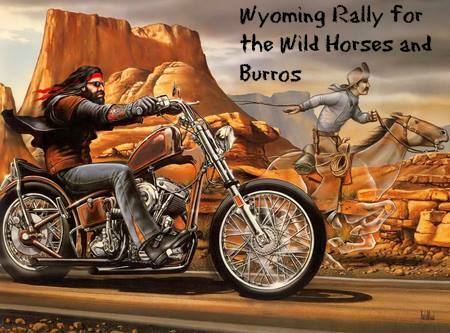 ; and Sept. 12 at the Rawlins Field Office, 1300 N. Third St., Rawlins, Wyo., to address wild horse and burro management for the Rock Springs and Rawlins Resource Management Plans (RMPs). The scoping period for the RMP revisions will also be extended to Sept. 27 to allow adequate time for public comment. The scoping meetings will provide an opportunity for the public and interested parties to ask questions one-on-one with BLM specialists, view maps and posters detailing the RMP revision process, and provide written comments. The BLM is seeking public input in analyzing the environmental impacts of implementing the April 3 consent decree governing wild horse management in the checkerboard pattern of mixed public, private, and state land ownership in southern Wyoming. Under the consent decree, the BLM agrees to remove all wild horses from the Rock Springs Grazing Association’s (RSGA) private lands. RSGA owns or leases more than 48 percent of the private land in four herd management areas (HMAs) in the checkerboard within the boundaries of the Rawlins and Rock Springs field offices. 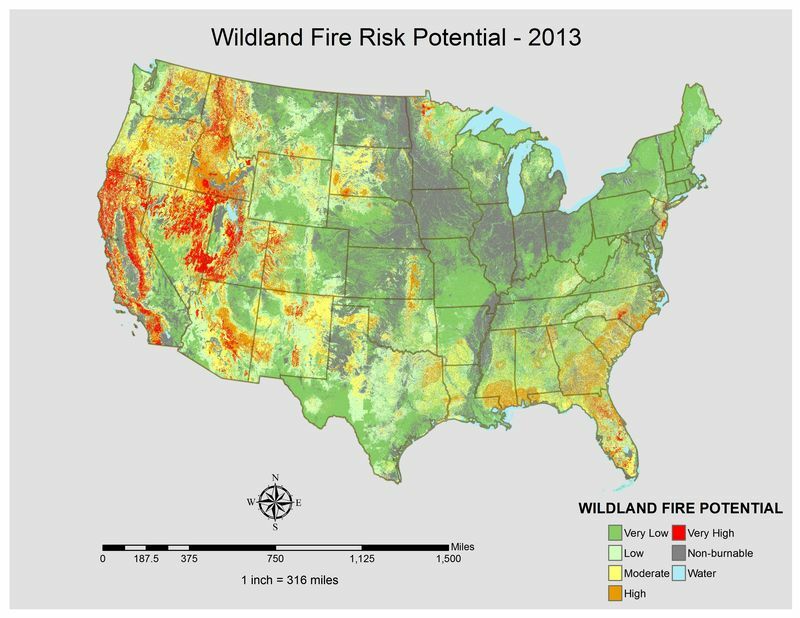 Wild horse management, including HMA boundaries which encompass RSGA lands and appropriate management levels (AMLs), will be reviewed and reanalyzed. Written comments will be accepted until Sept. 27. Comments may be emailed to BLM_WY_RockSpringsRMP@blm.gov (please include “Wild Horse Scoping” in the subject line), faxed to (307) 352-0329, or mailed to the Bureau of Land Management, Rock Springs Field Office, Wild Horse Scoping, 280 Highway 191 N., Rock Springs, WY 82901. Persons who use a telecommunications device for the deaf (TDD) may call the Federal Information Relay Service (FIRS) at 1-800-877-8339 to contact the individuals listed below during normal business hours. The FIRS is available 24 hours a day, 7 days a week, to leave a message or question with the below individuals. You will receive a reply during normal business hours. Before including your address, phone number, e-mail address, or other personal identifying information in your comment, be advised that your entire comment – including your personal identifying information – may be made publicly available at any time. While you may ask us in your comment to withhold from public review your personal identifying information, we cannot guarantee that we will be able to do so. For further information, please contact Jay D’Ewart at (307) 352-0331, or William West at (307) 352-0259. Note to editor: A link to the planning documents can be found at www.blm.gov/wy/st/en/programs/Planning/rmps/RockSprings.html.